Twenty-three centuries apart, the two greatest European colonial powers to invade Asia both received bloody checks in these mountains. In 330 BC, Alexander of Macedon’s hitherto invincible troops engaged in what Peter Green describes as “three years of mountain guerrilla fighting […] from Afghanistan to Bokhara, from Lake Seistan to the Hindu Kush, against the fiercest, most indomitable opposition Alexander had yet been called upon to face”. 1 In 1842, the British Empire suffered its worst military defeat of the century when an army of occupation under the hopelessly incompetent Major-General William Elphinstone was ejected from Kabul in the depths of winter and gradually hacked to bits as it struggled to retreat across ninety miles of desolate mountain terrain to the fort of Jalalabad. “Before it had left [Kabul] valley”, according to James Morris’s graphic account, “the army was virtually without food, fuel, shelter or ammunition, and behind it left a trail of dead and dying people, like a track of litter after a grisly holiday – some wide-eyed and insensible, some pleading to be put out of their misery, some stabbed about with knives, for the fun of it, by the Afghan children who swarmed through the mêlée”. 2 A single exhausted and terrified survivor reached Jalalabad to tell the story. Private Crane’s report of this battle is astonishingly similar to Arrian’s account of the destruction of Alexander’s army by the Afghans’ ancestors: “Caranus, who was in command of the cavalry… attempted to cross the river to get his men and horses into safety; the infantry without orders promptly followed suit, scrambling down the steep banks into the water in a panic-stricken and disorderly rabble. The Scythians soon turned this fatal error to their own advantage: galloping up from all directions, they plunged into the stream; some rode hard on the heels of the Greeks already across and trying to get away; others confronted the fugitives in mid-stream and dragged them down; or flung themselves upon those not yet in the water, while all the time from the flanks showers of arrows were poured in. The Macedonians were helpless, and all who survived took refuge on a small island in the river; but this did not save them, for Spitamenes’ cavalry and the Scythians surrounded the island and shot them down to a man. The few prisoners taken were promptly butchered.” 4 This was incidentally perhaps the first, though certainly not the last time that heavily armed European troops were to be annihilated by Asian horse archers. In the last quarter-century, of course, the unsuspecting inhabitants of Afghanistan became victims of one of history’s most grotesque jokes: having exchanged the rule of a brutal and inept Stalinist regime for that of yet more brutal and inept religious fanatics, they gained the unique privilege of being successively blown to pieces, first by the Soviet and then by the American military juggernauts. Of the 20th century’s four ideological horsemen of the Apocalypse, the luckless Afghans have within the space of a single generation been visited by three: Communism, Fundamentalism and Imperialism.5 Rarely can a people have been so thoroughly and ruthlessly driven, willy-nilly, to political and ideological salvation. 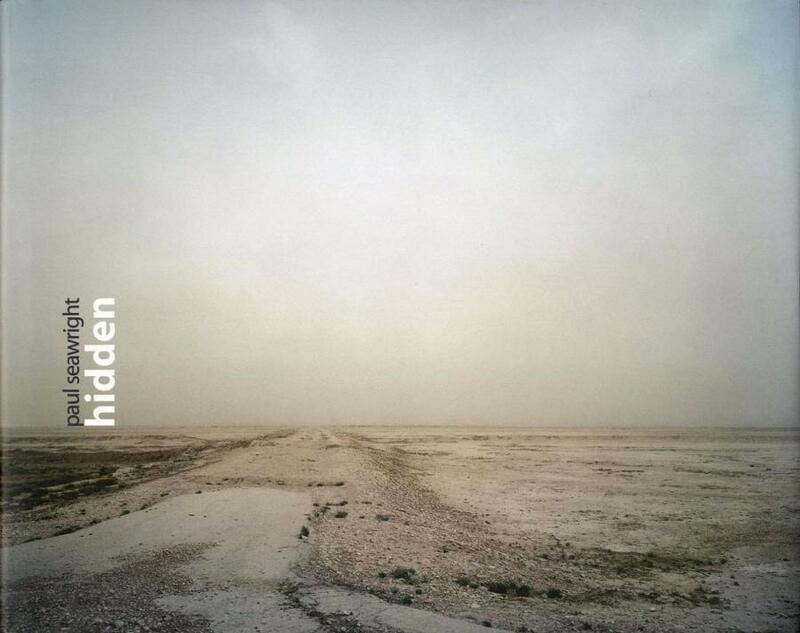 Paul Seawright has given the images he made of Afghanistan in the wake of the latest military intervention the collective title “Hidden”. I don’t know what led him to choose this title, but it seems particularly apt on a number of levels. One of these is the fact that unlike earlier wars in the region, this one was waged largely from hiding. As in Iraq, American distaste for body bags meant that for Taliban units and wedding parties alike, death tended to come suddenly and without warning out of the milky blue skies: this was indeed hidden strife, a war of airstrike, guided missile, ambush and buried mines. The primary targets of the Americans, Osama Bin Laden and the Al Q’aida leadership, remained hidden in their mythic (perhaps mythical) mountain stronghold – so well hidden, it now seems possible that they were never there in the first place. A neutral observer of events might also be tempted to regard the objectives and purposes of the American intervention as so wrapped up in moral outrage, self-righteousness and obfuscation that they, too, could to all extents and purposes be regarded as hidden. It strikes me, however, that there is another and subtler sense in which these images reference the hidden. With the exception of Nuristan, the landscape of Afghanistan, as I remember it and as Seawright’s landscapes confirm, tends inexorably to the minimal. The lowland deserts are mostly of the stony dasht variety, flat gravel plains stretching endlessly to the horizon, interrupted by occasional dry river beds or low outcrops of rock. The Hindu Kush range which covers the northern part of the country consists of largely barren slopes, often tortuously broken and ridged, between which sometimes nestle threads of piercingly blue water or patches of green vegetation clutched by the rock. The colours are generally muted, greys and light browns, mineral purples and ochres; even the rare greens seem faded. Above all, whether in the mountains or the desert, very little seems to obtrude on the landscape, which is made up of foreground and background, but only rarely of middle ground; when something does appear in the middle distance (a rider, a tree, a ruined tower or wrecked vehicle), it does so with unexpected presence. Such open, unvarnished statements of fact ought to suggest candour and guilelessness, but in fact they have precisely the opposite effect: surely, one feels, there is something hidden here after all - beyond that ridge, under that slope, at the far edge of the horizon. The paradox of Afghan landscape, successfully captured by Seawright, is that it always seems to be concealing something. Many of his images are, precisely, examples of the way simple objects suddenly loom, portentous and solitary, out of an otherwise empty landscape. Given the context of a war-ravaged country, these signs are inevitably read in reference to conflict: mines scattered in the sand like raisins in a cake, unidentified mounds too much like shallow graves to be anything else, the shattered stumps of what was once a small grove of trees, the remains of a mud and brick structure, a battered sign pointing towards Mazar-i-Sharif, a perimeter fence of barbed wire and military meccano, scattered shell cases. The interiors are no less enigmatic: a half-open door leading from darkness into a tiny office or classroom, an Arabic-language map of the world taped to the wall of an otherwise bare space, and a succession of empty rooms, choked with rubble and bathed in the harsh white light pouring from windows and rents in the building’s fabric. Most of the man-made structures have been marked, wall by wall and fragment by fragment, with large, white and pedantically neat check marks presumably significant of some kind of successfully completed military activity: “Searched”? “Decontaminated”? “Mission accomplished”? Whatever their meaning, the very exactitude of these signs in the midst of chaos is disorienting. The disconcerting stillness of Seawright’s photographs echoes the occasionally eldritch quality of Afghan landscape. This is a quality I can vouch for, and one which has been remarked upon before by travellers including, notably, Robert Byron: “After Akcha, the colour of the landscape changed from lead to aluminium, pallid and deathly, as if the sun had been sucking away its gaiety for thousands and thousands of years; for this was now the plain of Balkh, and Balkh they say is the oldest city in the world. The clumps of green trees, the fountain-shaped tufts of coarse cutting grass, stood out almost black against this mortal tint. Sometimes we saw a field of barley; it was ripe, and Turcomans, naked to the waist, were reaping it with sickles. But it was not brown or gold, telling of Ceres, of plenty. It seemed to have turned prematurely white, like the hair of a madman – to have lost its nourishment. And from these acred cerements, first on the north and then on the south of the road, rose the worn grey-white shapes of a bygone architecture, mounds, furrowed and bleached by the rain and sun, wearier than any human works I ever saw...”.6 Seawright, too, lights upon furrowed mounds and acred cerements, and though his are more recent than those of Balkh, in another decade or two they will no doubt all be one with Alexander’s soldiers and the troopers of the 9th Lancers. (1) Peter Green, Alexander of Macedon, Pelican Books, Harmondsworth 1970, p.338. (2) James Morris, Heaven’s Command, Penguin Books, Harmondsworth 1973, p.109. (3) B.P. Crane, The Ninth Lancers in Afghanistan, 1879-1880. A soldier's diary. London, n.d., pp.38-39. (4) Arrian’s Life of Alexander the Great, translated by Aubrey de Sélincourt, Penguin Books, Harmondsworth, 1958, p.132. (5) The fourth horseman, Fascism, merely cast an appraising eye upon Afghanistan before passing by; in the thirties, Hitler dispatched at least one pseudo-scientific expedition to investigate what the Nazis believed to be the original cradle of the Arian peoples, but more pressing matters soon demanded his attention, and Afghanistan was allowed to lapse back into the safety of obscurity. In The Light Garden of the Angel King (London, 1972), Peter Levi relates a story about a group of Germans turning up for a mid-fifties new year’s ball at the Kabul International Club “in full SS uniform including boots and pistols”. According to his informant, “there was a fight and all the ex-Nazis were thrown into the swimming bath” (p.81). (6) Robert Byron, The Road to Oxiana, Macmillan, London 1937; Picador edition, London 1981, pp.238-9.